The enigmatic J Spaceman returns this year as Spiritualized release And Nothing Hurt in September, Getintothis’ Howard Doupé picks his top 10 from a stunning back catalogue. 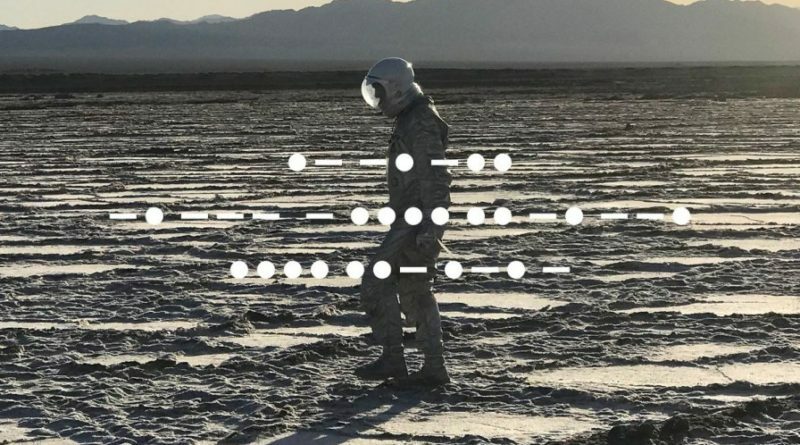 With the latest album announcement delivered through the medium of cryptic morse code messages via Twitter, this feels like J. Spaceman (Jason Pierce) is communicating that this may very well be the last Spiritualized album. We’ll see. Here’s a man whose single-minded musical journey has continued to surprise, endear and imprint- above all he continually did it ‘his way’. There’s not many artists these days who solely exist to create pure art. Art that isn’t moulded by external factors, rushed or co-ordinated while pampering to the commercial juggernaut of the music biz. Pierce has always ‘delivered’ these LP’s as golden twinkling nuggets of light. Time and space defying, there are no rules or urgency. It’s been a fair old journey so far. Out of the ashes of Spacemen 3 the space rock, psychedelic outfit that if I’m honest are just a little too far out for these sensitive ears to make sense of. What emerged and remained ever since was a vehicle for Pierce’s creative talents- composer, arranger, performer and singer. 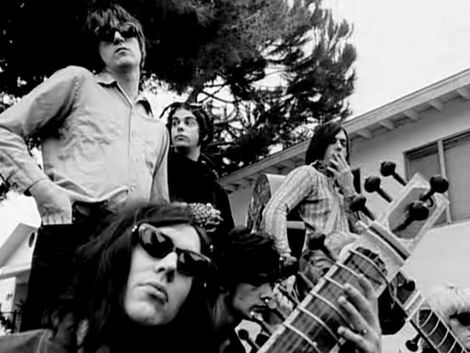 As the sole driving force behind a rotating carousel of members Spiritualized have long been the British band like no other. A one man’s vision magically mixing simple chord structures with swooning strings and gospel choirs are the trademark- a combination that never grows tired. Some of us may remember when the ‘breakthrough’ album Ladies And Gentlemen We Are Floating In Space was released in 1997. It was a year of some serious big-hitters: Radiohead’s Ok Computer, Oasis’ Be Here Now, The Verve’s Urban Hymns, Blur’s Blur. At the height of the Britpop climate where guitar-driven bands were ten-to-a-penny it seemed this LP- that went on to be named NME’s Album of the Year– was beamed from another planet. Who else would have the vision and sheer record-label defiance to release a special edition housed in packaging to resemble prescription medication, complete with ‘dosage advice’ booklet and CD housed in a foil blister pack. Don’t forget the limited edition on 3” discs- your very own 12 dose pharmaceutical prescription. The lead single Electricity screamed out from Radio 1’s playlist as a sheer slab of bluesy-driven rock that was visualised with their Glastonbury Festival Other Stage Sunday performance the following year. In amongst the horrendous mud bath their set was loud, expansive and different to anything else on the BBC coverage that year. Since then there has been a steady release of albums, each continually defining the sound and offering new insights and emotional challenges- remember 2008’s hospitalised intensive care admittance and near death inspired Songs in A&E. 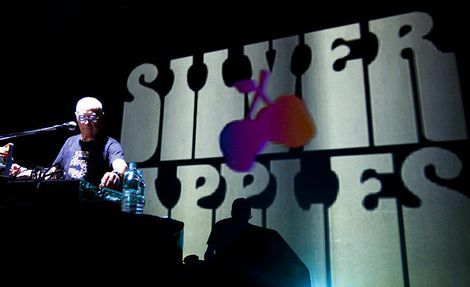 Take this forthcoming release six years since the last, And Nothing Hurt, his eighth studio album suddenly being announced after a sole performance at this year’s Primavera, accompanied (so far) by one London date for September. It’s again the work of Pierce who took to writing and recording in his London home- apart from those studio-requiring instruments that just couldn’t fit up his stairwell. It’s possibly the most grandiose of aspirations for Spaceman– a band that are used to creating such sonic-scaping landscapes self-forcibly adapting to such severe constraints. Teaser track I’m Your Man is classic Pierce. The heartfelt sincerity oozes out as the strings let you melt once more into the spiritual world of Spiritualized. Along with its title, And Nothing Hurt might just be up there with his best. Onto this top ten then. There’s seven studio albums to choose from, live releases, EP’s and a couple of freshly released album teasers. It’s a tough call. From a tune perspective there’s lots of similarity here. Theme-wise, yep there’s also continuity at play. In need of some sort of filtering criteria we’ve gone for good old fashioned heart-hitting impact. Whether its heartache, wonder, mortality or spirituality, these ten tracks hit you where it beautifully hurts. The sound that underpins the live experience, it’s the instrumental that fills the space between each track at a Spiritualized show. This is the biggest nod to the earlier roots of Spacemen 3, the mood is one of relaxation, a journey hand in hand with escapism. It’s the frequency of the natural earth and the human heart. The other worldly noises ebb and flow from start to finish, the kind that wherever in the track you would drop, it would be impossible to get your timely bearings. 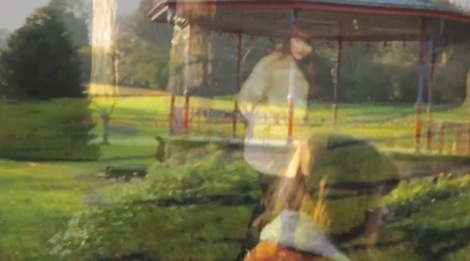 The immediate bang hits the ears and leaves you guessing for the first forty-five seconds as to what’s coming next. It’s a song with a simple yet stark message only a fool would ignore. Death can’t take what you’ve already lost, hold on to those you hold dear. It’s a harrowing, rocking chair on the porch, strand in the mouth, sun-beaten skin of a life well-lived. Before you know it, this New Orleans funeral song is injected with some serious blues harmonica before breaking down into a refrain of the songs lamentation. It’s another stripped to the bone, spiritual plea to a higher being. This is Pierce’s ‘on the cross’ moment. He’s asking for the power, the glory and all it has to offer this poor wretched soul. The guitars chime, the gospel soundtracks the sweeping light and the opening of the gates, whilst Pierce’s prayer refrains Lord let it rain on me, now I know I’m going down, I’ve got a little knowledge Lord and I’m about ready now. Every coin has two sides and this is the perfect example of Spiritualized baring theirs. It was the first thing this listener ever heard, the power of which is rarely matched. It scream of feedback slide quitars, pulsating riffs and in a rarity for this band pounding drums. It’s loud, raw, voracious and free. This is the theme to the pagan ritual- shed your clothes, howl at the moon and dance like a freak beast. A bit of a curveball when this surfaced as lead single after a four year break. Pierce described the album it comes from as ‘embracing more poppy songs’ and here’s the exemplar. It swaggers with Velvet Underground drug-fuelled chic, but not that old 70’s style but throwing rock n roll into a new celestial galaxy. It gets your feet tapping and hips swaying. You, show ‘em what you can do. We hear you Pierce, we do…Oh, did we mention that coda?! It starts with a simple acoustic but raises skywards with those horns, man where would Spiritualized be without them? Baby, set my soul on fire Pierce appeals, I’ve two little arms to hold on tight and I want to take you higher. It’s euphoric, arms aloft, soul-rejuvenating and hope affirming. This is classic Pierce. Within the first two minutes we’ve been on a winged-backed soar into the sun and back within the Earth’s stratosphere. Flying on the brass that launches the track just after the minute mark. By the time we’ve re-orbited the wisdom follows, If I am good I could add years to my life, I would rather add some life to my years. Nothing hurts you like the pain of someone you care about…c’mon baby stop your crying. You can feel the heart-wrenching and the sheer frustration of helplessness when hope is far from reach. I feel so broke inside but I’ll devote my life to loving you. It’s simply beautiful, fragile, naïve yet wholesomely desirable. With an album this strong it’s a killer choosing which tracks not to include. The opening one for nicking lines from Elvis alone well deserves a spot. However, it’s the clever wordplay here that gets our vote. It’s the one track where Pierce is in outward denial that his heart has been stolen and no longer in his possession. I think I’m in love, probably just hungry. Yes, he knows a love more flawed than most, a downward spiral is awaiting this host. At its core, the melody is refreshingly bouncy and the simplicity of one guitar slide and two piano notes is hypnotic, fascinating and mesmerising. This version trumps the original from 1992’s Lazer Guided Melodies for its sheer maturity into everything a classic Spiritualized track serves to be. Firstly, the tempo is that slow waltz that gently rocks your senses. Then there’s the fragile vocals of Pierce delivering as if his final words are being spilled out before us. And that crescendo- well it blows our minds every time. Ladies and Gentlemen, you have been Spiritualized.